Evidently seeing the impact single appellations have on the world of music (Prince, Madonna, Chico), Chris Clark has ditched the first name and shall from this day forth be known as Clark - still minus the magic E of course... Garnering a significant following amongst those in the know following the release of 'Empty The Bones of You' and 'Clarence Park', Clark always managed to stay one step removed from the bleeping masses by flecking his output with overt nods to krautrock, musique concrete and chunky post-rock - creating a sound that felt spontaneous despite it's intricate planning. Upping the quota of live instrumentation, 'Body Riddle' sees Clark edging closer to overtly musical territory - where the electronics are etched into a bedrock of live instrumentation that also takes a determined cue from the syncopated output of label mate Squarepusher. Flirting with a multiple of styles and genres without ever seeming to be doing things for the sake of it, Clark's musical magpie approach reaps immediate rewards - as the crumpled rhythms of 'Herr Bar' open out into the clicking beats and soapy synths of 'Roulette Thrift Run'. Opaque in delivery but finely detailed on closer inspection, 'Body Riddle' plunders Clark's evident love of music for inspiration - as 'Matthew Unburdened' billows beneath prog-rock clouds, 'Herzog' has a disco spasm and 'Vengeance Drools' evokes a seedy after-hours bar all viewed through the bottom of a film-noir shot glass. 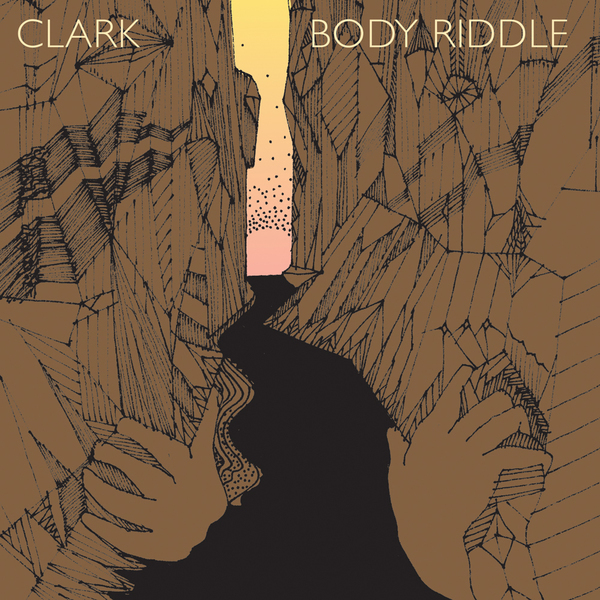 Thickly layered and flitting effortlessly between rimy instrumentation one moment and fizzing analogue the next, 'Body Riddle' might not represent a sonic leap - but what it does prove is that Clark is evolving into a far more rounded figure than many of his peers will ever be.